Davyne: Mineral information, data and localities. 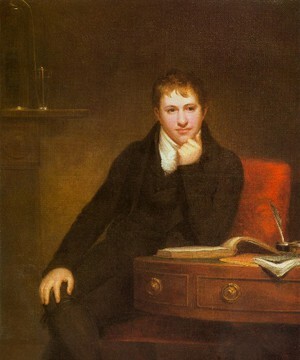 Named by T. Monticelli and N. Covelli in 1825 in honor of Sir Humphry Davy (17 December 1778, Penzance, Cornwall, England - 29 May 1829, Geneva, Switzerland), chemist who first isolated potassium, sodium, calcium, strontium, barium, magnesium and boron. In the structure there are large channels closed by 12-membered tetrahedra rings. The channels are surrounded by cages, that are set in columns. In the "davyne subgroup" the cages contain [CaCl]+ lusters. Acarbodavyne Variety of Davyne free of Carbon Dioxide. 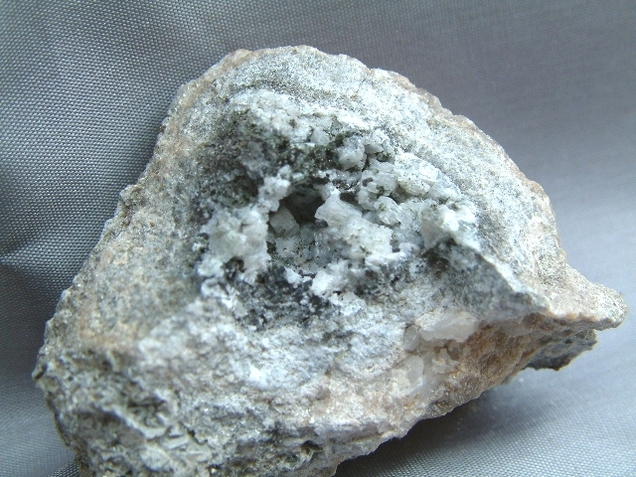 A member of the Cancrinite group. Sodalite 2 photos of Davyne associated with Sodalite on mindat.org. Cancrinite Group 2 photos of Davyne associated with Cancrinite Group on mindat.org. Spinel 1 photo of Davyne associated with Spinel on mindat.org. Augite 1 photo of Davyne associated with Augite on mindat.org. Olivine 1 photo of Davyne associated with Olivine on mindat.org. Vesuvianite 1 photo of Davyne associated with Vesuvianite on mindat.org. Pyroxene Group 1 photo of Davyne associated with Pyroxene Group on mindat.org. Monticelli, T., Covelli, N. (1825) Davina. in Prodromo della Mineralogia Vesuviana, Napoli: 1: 405-421. Haidinger, W. (1827) Über den Davyn, eine neue Mineralspecies. Annalen der Physik und Chemie: 87/F2-11: 470-474. Pauling, L. (1930) The structure of some sodium and calcium aluminosilicates. Proceedings of the National Academy of Sciences: 16: 453-459. Bonaccorsi E., Merlino S., Pasero M. (1990) Davyne: its structural relationships with cancrinite and vishnevite. Neues Jahrbuch für Mineralogie, Monatshefte: 3: 97-112. Hassan, I., Grundy, H.D. (1990) Structure of davyne and implications for stacking faults. The Canadian Mineralogist: 28: 341-349. Jambor, J.L., Burke, E.A.J. (1990) New mineral names. American Mineralogist: 75: 1431-1437. Hassan, I., Buseck, P.R. (1992) The origin of the superstructure and modulations in cancrinite. The Canadian Mineralogist: 30: 49-59. Ballirano, P., Bonaccorsi, E., Merlino, S., Maras, A. (1998) Carbonate groups in davyne: structural and crystal-chemical considerations. 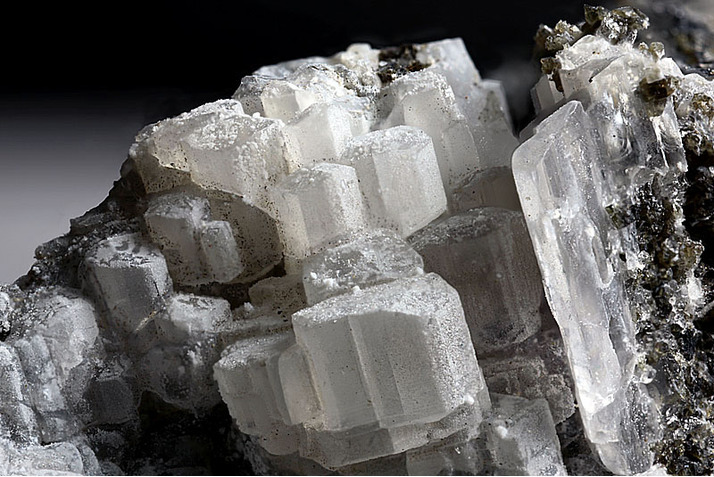 The Canadian Mineralogist: 36: 1285-1292. Rozenberg, K.A., Rastsvetaeva, R.K., Chukanov, N.V. (2009) Crystal structures of oxalate-bearing cancrinite with an unusual arrangement of CO3 groups and sulfate-rich davyne. Crystallography Reports: 54: 793-799. Pekov, I.V., Olysych, L.V., Chukanov, N.V., Zubkova, N.V., Pushcharovsky, D.Y., Van, K., Giester, G., Tillmanns, E. (2011) Crystal chemistry of cancrinite-group minerals with an AB-type framework: A review and new data. I. Chemical and structural variations. The Canadian Mineralogist: 49: 1129-1150. Chukanov, N.V., Pekov, I.V., Olysych, L.V., Zubkova, N.V., Vigasina, M.F., (2011) Crystal chemistry of cancrinite-group minerals with an AB-type framework: A review and new data. II. IR spectroscopy and its crystal-chemical implications. The Canadian Mineralogist: 49: 1151-1164. Gatta, G.D., Lotti, P. (2016) Cancrinite-group minerals: Crystal-chemical description and properties under nonambient conditions — A review. 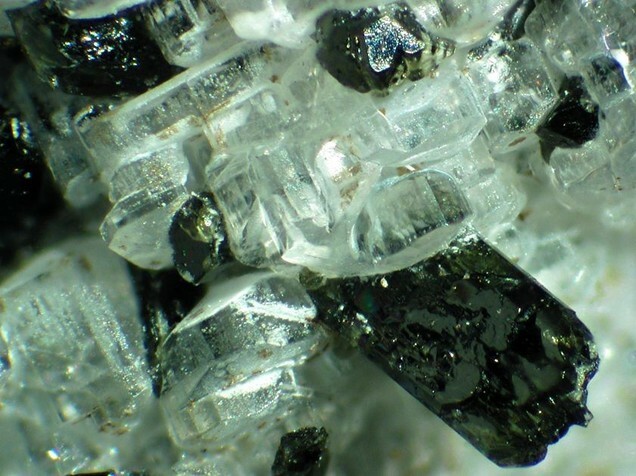 American Mineralogist: 101: 253-265. Bonaccorsi E., Merlino S., Pasero M.(1991): Davyne from Zabargad (St. John's) Island: peculiar chemical and structural features. Acta Vulcanol., 2, 55-63. Blass, G. and Graf, H.W. (2001) Interessante Neuigkeiten über Cancrinit, Fluorit und Fuchsit aus der Vulkaneifel. Mineralien-Welt, 1/2001. ; Blaß, G. and Kruijen, F. (2015) Neuigkeiten aus der Vulkaneifel (II/2015). Mineralien-Welt, 26(5), 80-90.
ⓘ Nickenicher Sattel (Eicher Sattel) ? Fantappiè L. (1896): La Danburite ed altri minerali: in alcuni pezzi notevoli di rocce antiche, tra i “blocchi errratici” della regione Cimina. Rend. R. Acc. Naz. Lincei, Classe sci. fis. mat. nat., ser. 5, 5, 2, 108-113; Fantappiè L. (1897): Nuove osservazioni su minerali dei blocchi erratici della regione cimina. Riv. Miner. e Crist. Ital., 17, 3-19; Stoppani F.S, Curti E. (1982): I minerali del Lazio. Editoriale Olimpia, Firenze, 291 pp.